In July 2018, ASIC published a review of Australia’s credit card debt, based on data gathered between 2012 and 2017. The findings showed that Australians owed $45bn on 21.3 million credit cards, with interest owed on $31.7bn of that sum. While many see balance transfers as a way to manage such debt, further figures from ASIC show that more than 30% of consumers actually increase their debt by 10% or more after transferring a balance. Almost 550,000 credit card accounts were in arrears at the time the data was collated, with an additional 930,000 considered “persistent debt” and 435,000 account holders only making “small” repayments. Further, 18.5% of consumers were “overwhelmed” by the amount they owed. Many cardholders start the new year with a new financial hangover: RBA figures for December 2018 estimate that Australians spent $29.7bn on credit cards in the run-up to Christmas. It is the highest December spend on record. As a proportion of total household debt, credit cards are the least of a consumer’s problems, but that doesn’t mean they are without their pitfalls – if interest rates were to rise, the current situation would push many into hardship overnight. Recognising the potential time bomb on Australia’s hands, ASIC has introduced a series of reforms. Credit providers are now required to ensure that consumers can repay their full limit within three years before providing a new credit card contract or increasing the limit on existing contracts. The period was prescribed to “strike an appropriate balance between preventing consumers from being in unsuitable credit card contracts and ensuring that consumers continue to have reasonable access to credit through credit cards”. Credit providers were expected to start phasing in the changes from 1 January 2019, with extensions to 1 July for some providers. In a statement, ASIC explained, “We have acknowledged the challenges faced by credit providers in implementing the changes in the time frame provided, but retained the 1 January commencement date in line with Parliament’s intention. ASIC has provided short-term relief to some lenders that … had difficulties [meeting] the time frame provided. ASIC’s move drastically changes the credit landscape, reducing the limits available to a consumer and forcing the closure and reduction of outstanding and unused balances. Potentially, large credit card debts and limits could jeopardise other loan applications, including mortgages. “The impact is actually pretty significant, and it’s based on disposable income. To give a specific example, if you have $500 surplus right now, you would potentially qualify for a $20,000 limit. Under the new rules that has reduced to $13,000,” MoneyPlace founder Stuart Stoyan explains. However, the changes aren’t without reason, and the most pressing objective is to wean Australia off the plastic. “ASIC is saying that credit cards should be used for short-term debt. If you’re going to have medium-term debt, that should be put on a personal loan,” Stoyan says. For brokers, the new rules will increase the need to ensure clients are financially fit, especially given the tightening of criteria around living expenses. “People are going to need to clean up their existing credit cards and loans before applying for a mortgage or risk being declined or getting a mortgage for a lower amount,” Stoyan explains. SocietyOne CEO Mark Jones reports that around half the lender’s business comes from credit card debt consolidation, and he predicts a spike in demand as a direct result of these reforms. “One outcome we are heading towards is using credit cards for transactions, and personal loans for when you want to revolve your balance. Lenders like us are well positioned to benefit from that,” he says. Fintech and peer-to-peer lenders aren’t the only ones who could see an increase in business; brokers, too, are likely to see more people seeking their services as lending rules and restrictions become increasingly complex. 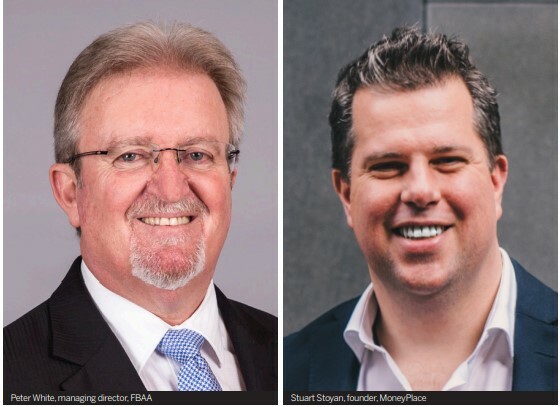 “Brokers will need to look at a client’s credit card debt and say, you don’t qualify like this, but if you get a personal loan or a P2P loan, between that over a seven-year period, get rid of the credit card and you will then get a mortgage,” says FBAA managing director Peter White. Stoyan agrees and advises brokers to be clued up on how to fully utilise personal loans for the benefit of their clients. “The value-added services that we have seen brokers provide in the mortgage space for the better part of two decades, we actually expect to see a lot of that happening now in the personal loan space,” he says. However, the devil is in the detail. For those with a home loan and credit card from the same major lender, White says, the widely utilised ‘all monies’ clause means the bank could force homeowners to sell if they couldn’t clear their credit card debt by other means. “That’s the way the legislation is written, and that is how we are looking to the future. It’s the nasty end of the stick, but it is technically possible,” he explains. “This is the reality of where the future lies. In three or four years’ time, if someone is miles behind on repaying a $50,000 limit, the bank has the right to sell your home to clear your debts. In response, ASIC maintains that “houses are not repossessed by banks solely for the purpose of clearing credit card debt”. In isolation, the reforms promote a more restrained approach to easy credit – and the figures show that attitudes towards credit certainly need to change. They also force those who may be sleepwalking through high-interest repayments to assess their situation. 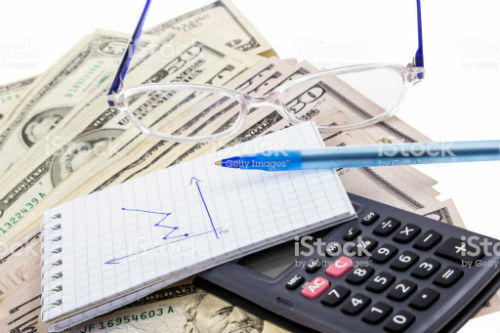 Stoyan says, “We are seeing that major banks have done a really good job of riding inertia in customers across the board, from transaction accounts to credit cards and personal loans that aren’t appropriate. “What we are seeing in the last year is a bit of a watershed moment; more customers are aware of online personal loan providers and the lower interest rates they offer, and more are willing to give it a try,” he adds. However, looking at the wider picture, the new rules could be the clearest indication yet that Australians are being prepped for a rise in interest rates. A recent survey by the Australian Financial Review claims that economists are expecting rates to reach 1.75% by June 2020; and they aren’t the only ones who believe it is a case of sooner rather than later. Old habits die hard, and how the coming months will play out is anybody’s guess. But if the phaseout of plastic bags provides any indication of what is to come, the move away from plastic money will be anything but painless.